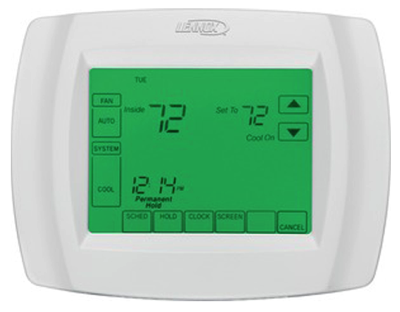 The ComfortSense 5000 thermostat enhances your comfort, while keeping energy costs under control. Programmable screens allow you to customize settings with little effort. Advanced logic responds to your choices and schedule, with minimal temperature swings.